HP Inc has suffered through the first three month period as a standalone business after posting lower revenues and net earnings from the same period one year ago, as nearly every facet of the company experienced a decline. HP Inc posted $592 million in net earnings, which was down by 58% from its net earnings of $1.4 billion reported for the same period one year ago. Net income for its continuing operations was down by 16%. New revenue fell as well by 12% from the $12.2 billion from one year ago. The first quarter for HP of its fiscal 2016 was the first since the business agreed to a spin off in November of 2015. The company held onto its legacy printing and PC business, which has been hit hard as the PC market has shrank. Both business units were challenged during the most recently ended quarter. The Personal Systems PC group saw a decline of 13% in revenue ending the quarter at $7.47 billion, while the Printing business reported $4.6 billion in revenue, which was down from one year ago of $5.6 billion. 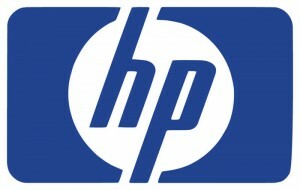 HP said there was a decline in the number of PCs units sold by 13%, with desktops dropping 13% and notebooks down by 8%. HP sold 20% fewer printers for the quarter than it did one year ago, with sales of consumer hardware falling by 23%. Of recent, HP has bet some of its future on the Windows phone, launching the Elite X3. It has debuted as well the Spectre X2, which is a two in one that appears to be much like a Surface tablet by Microsoft. HP’s CEO and President Dion Weisler said the company has a clear strategy in place that leverages its strengths and is focused on overall execution, taking the cost out of the business and delivering with innovations that would amaze both partners and customers. 3,152 Shares in SPDR S&P 500 ETF Trust Acquired by Haverford Financial Services Inc.